Among our two Institution one on the academy is “the Institute of Natural Medicine” is located in Paknajol height, Thamel. It is the nearest Academy close to Tourism hub Thamel. The Institute is around 5 minutes walking distance from tourist hub Thamel and 7 km far from International Airport. It lies on the periphery of Breath taking environment with an open and peaceful location with a lovely garden and an organic restaurant. The INM has also planted some medicinal herbs such as Lemon grass, aloe Vera ,mint, tulsi etc and uses Ayurvedic oils in various treatments offered at the center. The accommodation at INM is cozy and comfortable, with an organic restaurant surrounded by flowers and trees. The Institute is situated in a quiet corner of Kathmandu in a peaceful environment, overlooking the surrounding hills, with a panoramic view of Kathmandu valley , Hills and Ganesh Himalayas including the famous Monkey Temple Swoyambhunath & White ghumba. The Institute has 4 bedrooms – two with twin beds and two with a double bed. The bathroom is adjacent with hot water available. Institute’s restaurant serves a wide variety of organic and healthy food options for all tastes. 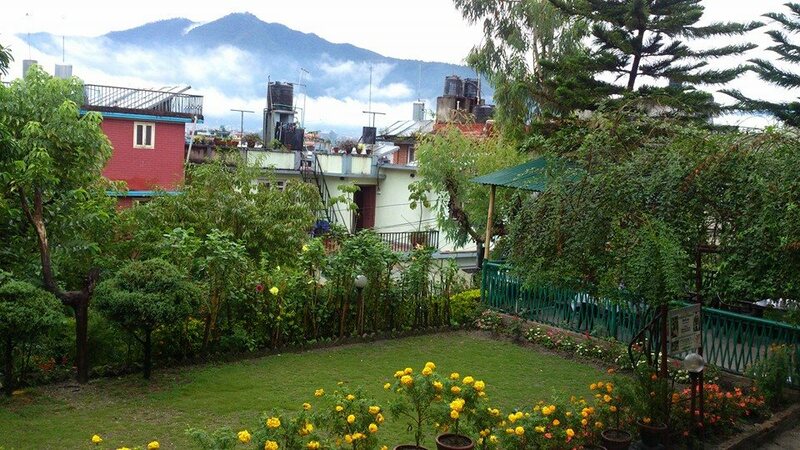 The Institute of Natural medicine is the nearby peaceful center to receive and obtain the Daily yoga classes, Yoga retreat packages, massage services, Naturopathy treatment and training too for the Non- Residential visitor those who are staying in Thamel and City.. The Institute provides various training and services, with an in-resident Doctor in naturopathy Prof. Dr. Surya Bahadur Karki who has over 40 years experience on Yoga, Meditation and Naturopathy field.